Directions / How to find us ? Q) I have not received my item/order yet, I am concerned it may be lost in the post? A) All our items are sent Fully Tracked door to door, to minimise the amount of items lost in transit and to ensure they arrive on time, contact us as soon as you are concerned via email or eBay 'ask the seller a question'. We will update you on the progress of your order. Q) My item/order has arrived damaged/not as described? A) All our sales are covered by a 7 Day 'No Quibble' Money Back Guarantee, should you be unhappy for any reason, return the item to us, as soon as the item arrives with us, your payment (less P+P) with be refunded back to its original payment source. Q) Do you combine P+P charges for Multiple Orders? A) Yes, if you buy more than 1 item from us, we will reduce the P+P cost's accordingly. Q) Can I collect my item in person & pay cash? 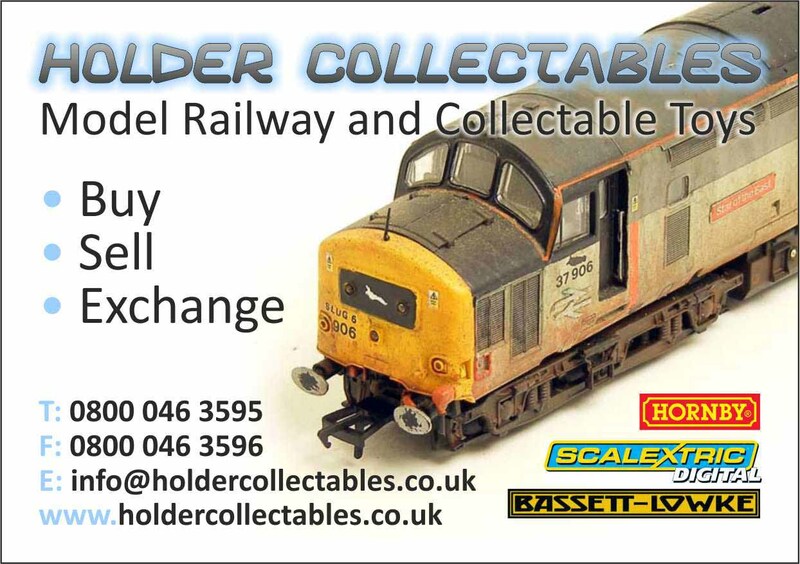 A) Yes, you can collect from our Shop in Warrington 7 days per week, see our 'Model Railway Shop Warrington' Page for opening times & location. Q) The 'International Shipping' cost seems expensive to my Country? A) The International Shipping Cost is a guide only, contact us direct for an accurate shipping cost. Q) I am unhappy with the service I have received, what can I do? A) We are committed to offering exceptional customer service, if you are unhappy, contact us via email or eBay 'ask seller a question'. Each query is different, therefore we will respond to each case individually. If you have a question, which is not listed above, complete the details below and we will answer your question for you.